Idealmente situado,muito tranquilo,todo o conforto possível,decoração cuidadosa,no centro de parque natural SOAL,próximo do oceano,rodeado por um jardim com árvores,num ambiente calmo e confortável,warm welcome,pequeno almoço delicioso. Mansão de charme,estilo portugues. Ficamos a +/- 1km da aldeia de pescadores de Salema. Salema com varios restaurantes,lojas e praia. Cada quarto tem o seu terraço privado com vista sobre o jardim e oceano no fundo. Une maison avec énormément de charme et un jardin !!!! Hôtes très très agréables ! Vous serez toujours les bienvenus pour découvrir plus encore de notre si belle région. Bel été chez vous au Nord ! We thoroughly enjoyed the hosts, who couldn’t have been more gracious. The property is a beautiful home, well maintained and comfortable. The view from our veranda of the property and beyond, the ocean are so relaxing. Located close to other beach areas and towns we managed to do a good amount of sightseeing in the two days we were there. If we ever come back to this part of the world, we will definitely make it a point to stay here. Thank you very much for your nice comment! We have tried to make this short stay, pleasant and easy, so you do not waste too much time searching for sites to visit. You will always be welcome if you come back to Europe! Ce fut une courte rencontre, mais super sympathique et intéressante quant à votre parcours de vie et expérience d´autres contrées! Nous serons heureux de vous recevoir, qui sait… plus longuement dans le futur ! Merci à Anne Marie et à Alain pour leur attention. Nous avons essayé de rendre votre séjour agréable et facile pour vous en multipliant les propositions de vous aider et en vous accompagnant par nos recommandations et conseils. Vous êtes toujours les bienvenus ! Posto incantevole! Stanza perfetta, sempre in ordine grazie alle attenzioni dei prorietari. Colazione ottima! Da tornarci il prima possibile!! The property's absolutely gorgeous, peaceful, charming, with high standard and beautiful interiors. 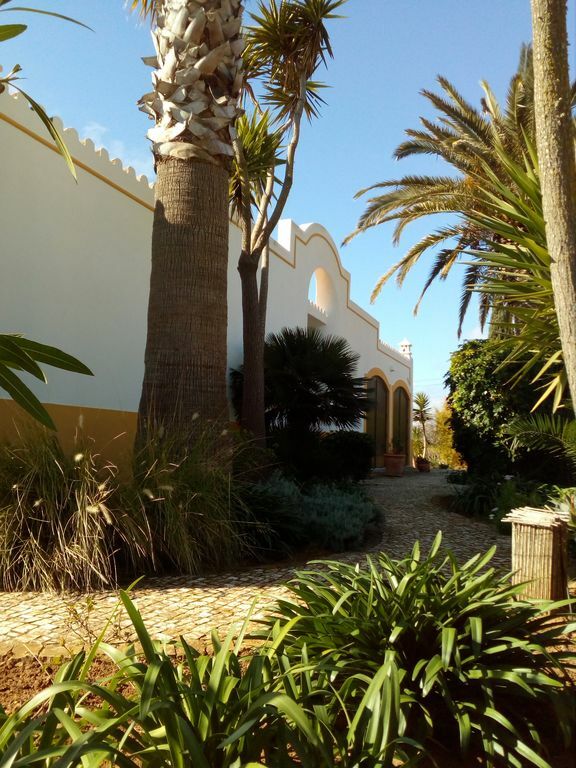 We had everything we needed, easy to park and a short driving distance to Salema. Anne-Marie and Alain are fantastic hosts. Anne-Marie's breakfast it's incredible! We highly recommend them and next time we will spend more days in the area. Thanks Anne-Marie and Alain for the warm welcome and service. Thank you very much, Claudio, for your positive and wonderful review about our house ! We are very pleased that you enjoyed of the place, our service !